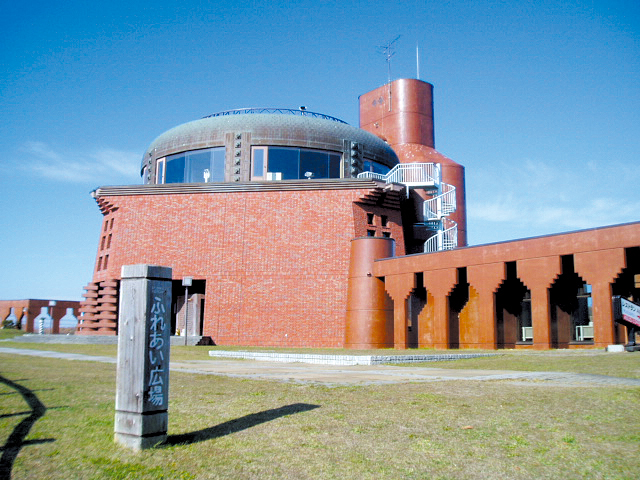 The exterior of this observatory and exhibition facility is designed in the shape of Yachibouzu, which are common in the marsh. From the roof it is possible to see not only the marsh but also Kushiro City and as far as the Pacific Ocean. There is also a footpath connecting to a satellite observatory. *Entrance fees are charged for the observatory/exhibition facility. 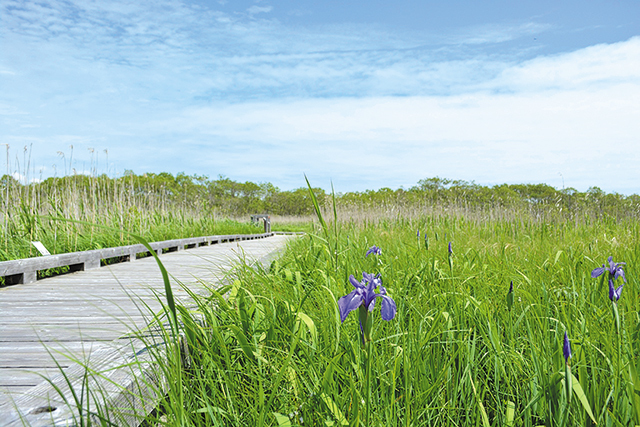 This is the only boardwalk built in the Kushiro Marsh that enables visitors to walk through the marsh. Not only can you enjoy the scenery as you walk, but you can also observe seasonal flowers and changes in marsh plants as well as wild birds up close. 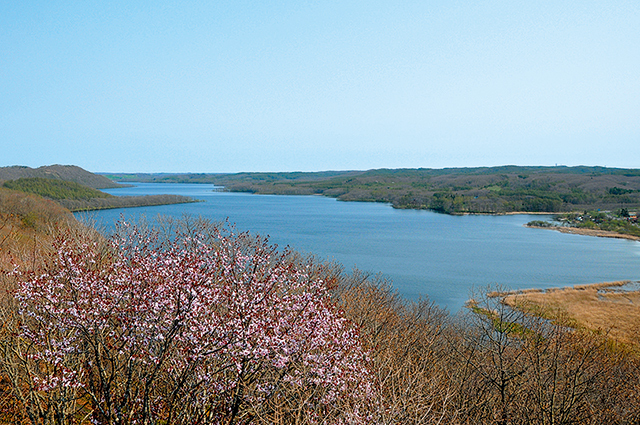 The name Cape Kirakotan originates from the time when the Kushiro Marsh was ocean and Kirakotan was actually a cape. 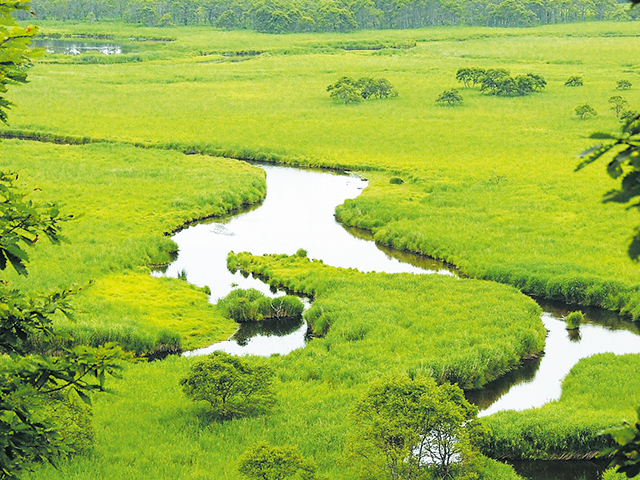 Located at the innermost point of the Kushiro Marsh, below spreads a lowland landscape patterned with marsh and spring water seeping from the hilly area. The tip of Cape Kirakotan, which is designated as a National Natural Monument, can only be reached on foot and is a 5 km round trip from the car park. *Because the tip of Cape Kirakotan is designated as a National Natural Monument area, permission is required to enter the area. For details, please contact the Tsurui Board of Education (Tel: 0154-64-2050). 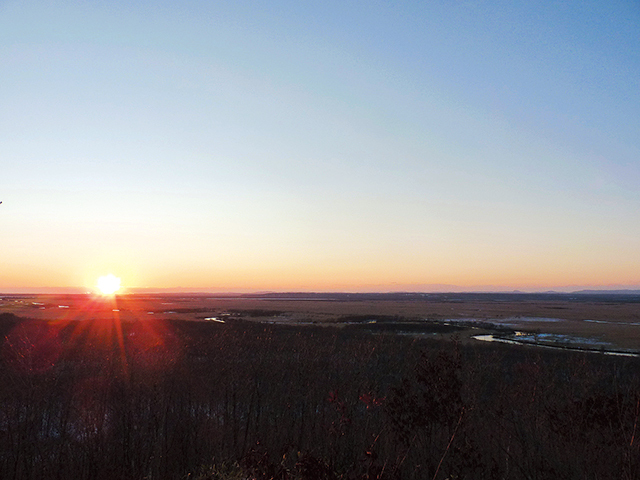 Positioned along Hokkaido Prefectural Road 1060, which transects the Kushiro Marsh, the observatory at the top of the stairs provides a panoramic view of the vast marsh sustained by abundant spring water. 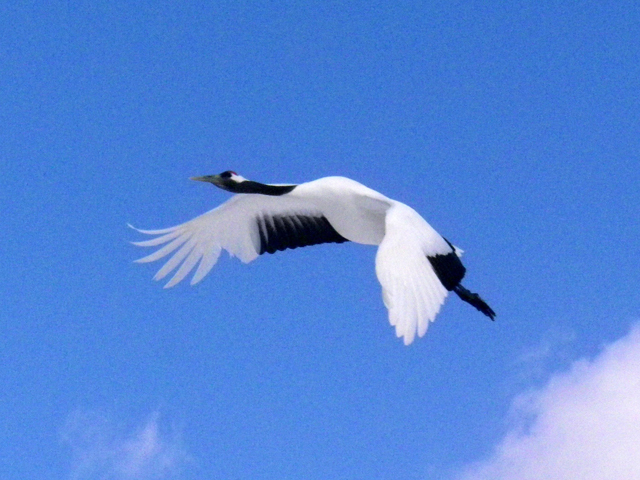 With binoculars, it is also possible to see red-crowned crane from here. 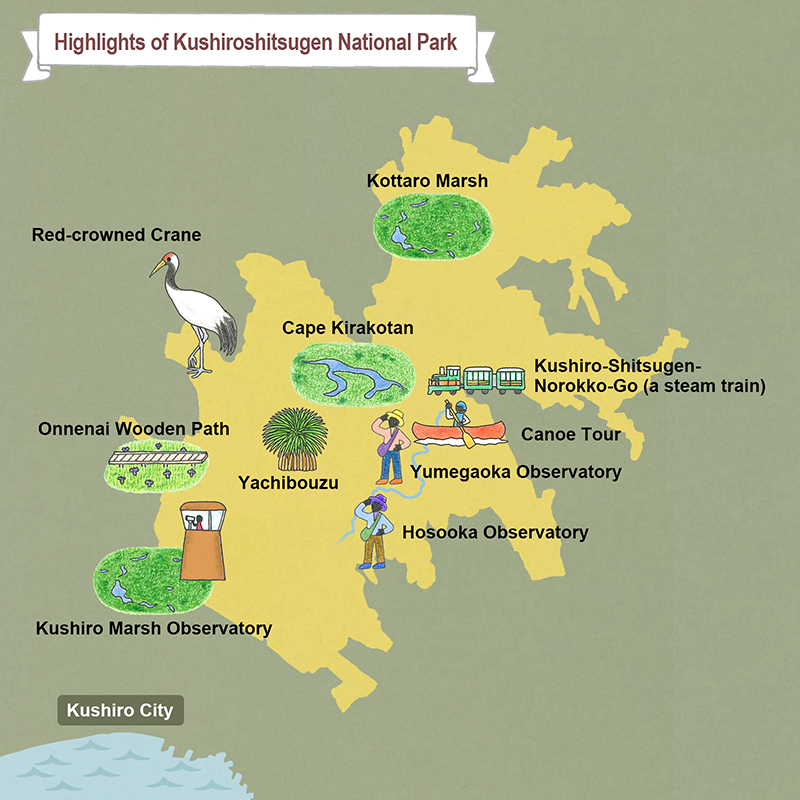 Located on the eastern side of the Kushiro Marsh, this observatory is also known as Daikanbo ("Expansive View"). 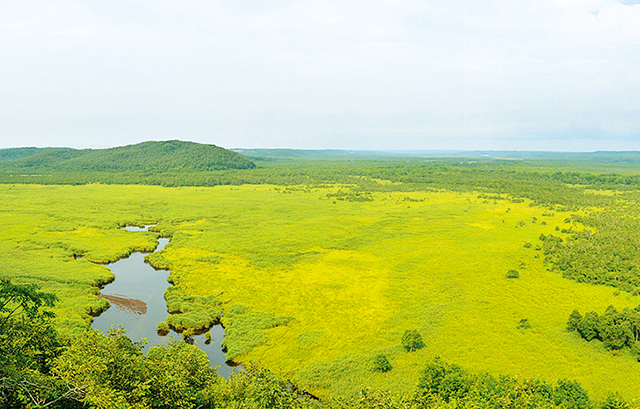 True to its name, the observatory provides a panoramic view of the meandering course of the Kushiro River, the Kushiro Marsh, and the Akan Mountains. The spectacular view of the sunset from the observatory is recommended. Colonies of Yachibouzu and springs can be seen from the Takkobu Trail, which continues for approx. 2.3 km in the hilly area on the northern side of Lake Takkobu. 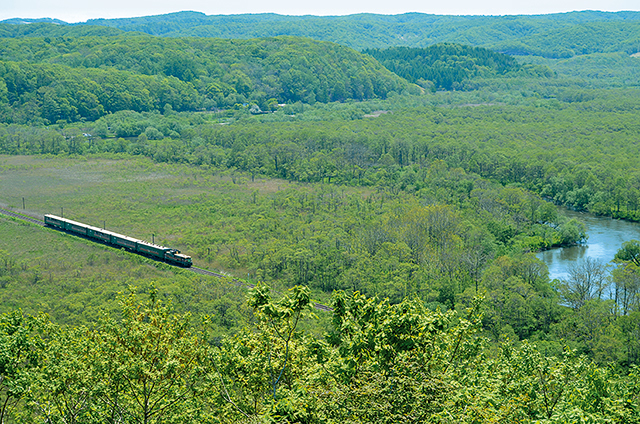 Located at the top of a steep slope, the observatory provides views of the meandering Kushiro River and JR Senmo Main Line. There are many wooded areas along the walking path, enabling visitors to enjoy a mountain-hiking atmosphere. From the observatory can be seen a group of large and small lakes, including, Lake Toro, providing a view of a marsh and lakes/marshes landscape slightly different from the views from other marsh observatories. Measuring approx. 600 m, this footpath enables visitors to take a stroll while enjoying the view of Lake Toro. Around the lake are signs explaining the history of Lake Toro and the birds that can be observed here and in the surrounding area. 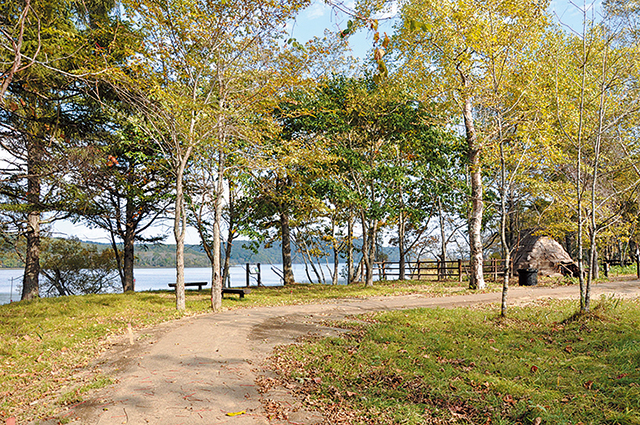 Benches and rest areas are also provided, enabling you to enjoy a leisurely walk around the lakeside. 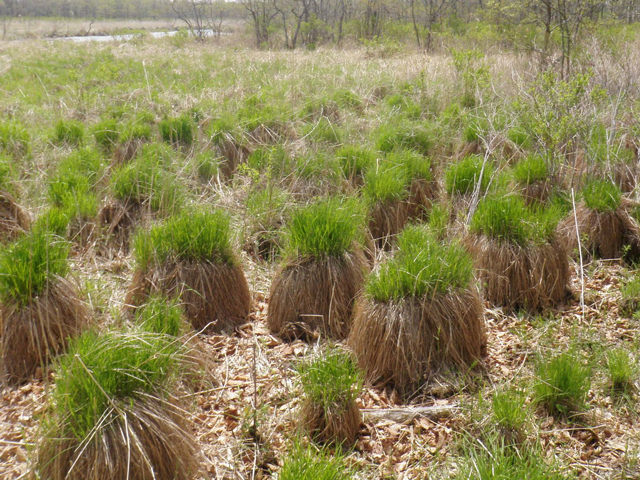 View the strange scenery of clumps of luxurious grass appearing like bald heads on the marsh. This is due to the regrowth of sedges in the same place every year. Referred to fondly by locals as 'Yachibouzu' Yachi in Japanese refers to the marsh lands and bouzu refers to the bald head, so this literally means the bald head of the marsh lands. Thought to have crossed to Hokkaido from the continent during the ice age. Considered to be a survivor of the ice age. 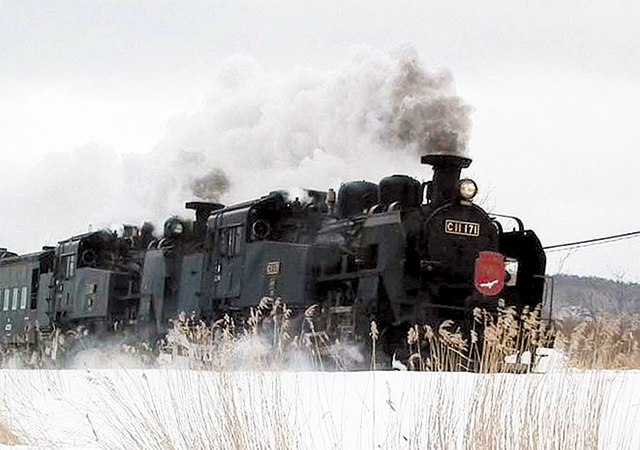 Seen only in the Kushiro Marsh and on Kunashiri Island. Revered by the Ainu people as the god of the marsh. Designated as a National Special Natural Monument. 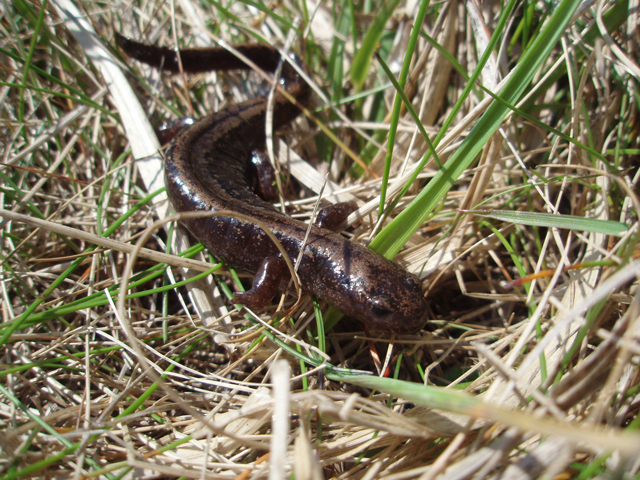 Found in the Kushiro Marsh throughout the year. Popular among both Japanese and overseas visitors. Let's observe quietly if one approaches. 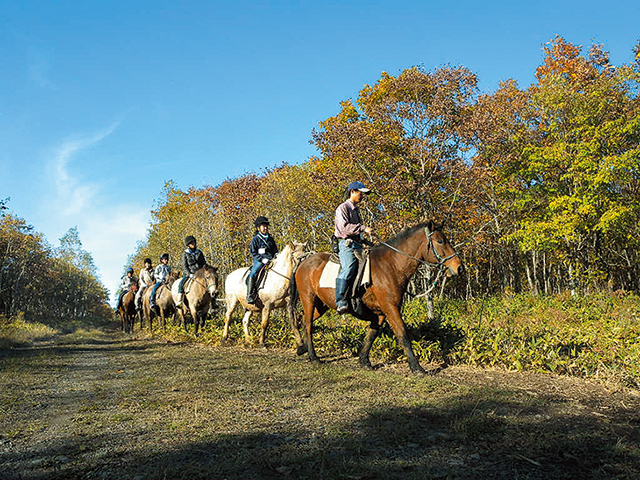 Horseback tours on Dosanko, a Japanese horse breed indigenous to Hokkaido, can be experienced. These horses are tall but have gentle natures and have been trained to faithfully follow the horse in front of them, so they can be ridden with peace of mind. 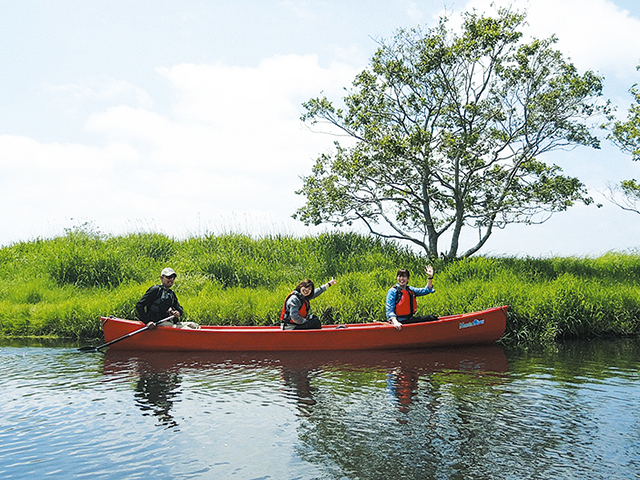 Since it has no dams, the Kushiro River is a must-do touring course for canoeists nationwide. Especially popular are guided tours of the Hosooka section from Lake Toro, where the current is gentle. In winter, the lakes in the marsh area are covered in layers of ice tens of centimeters thick. 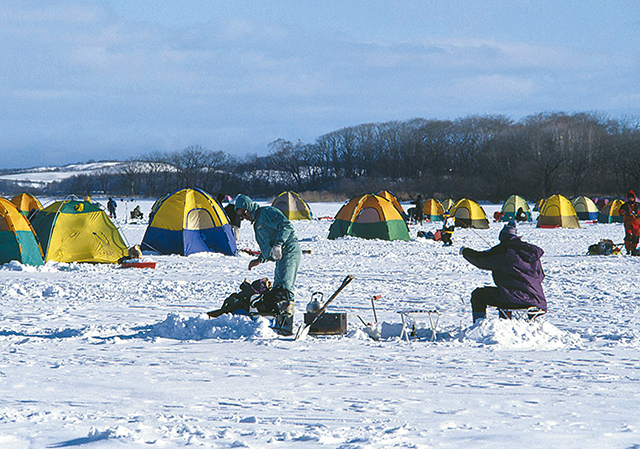 Thus, in the middle of the harsh winter, Lake Toro is lively with throngs of people enjoying smelt-fishing from holes cut in the thick ice.